This problem was composed by Hayashi Gembi in 1811. 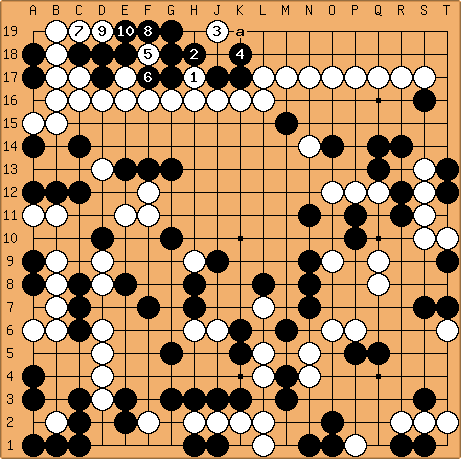 The question is whether it is possible to capture the black group in the upper left, starting with a move at a. As the name of the problem indicates, this involves a loose ladder.